Today is International women’s day. It is the 100th anniversary and a perfect moment to speak about women in wine, one of the key topics for this blog. Tonight, wines from Banfi are being poured at Eataly to celebrate the day. Cristina is the co-CEO of Banfi together with her cousin James Mariani. They are the third generation in the family to run the company. I interviewed Cristina a couple of weeks ago. 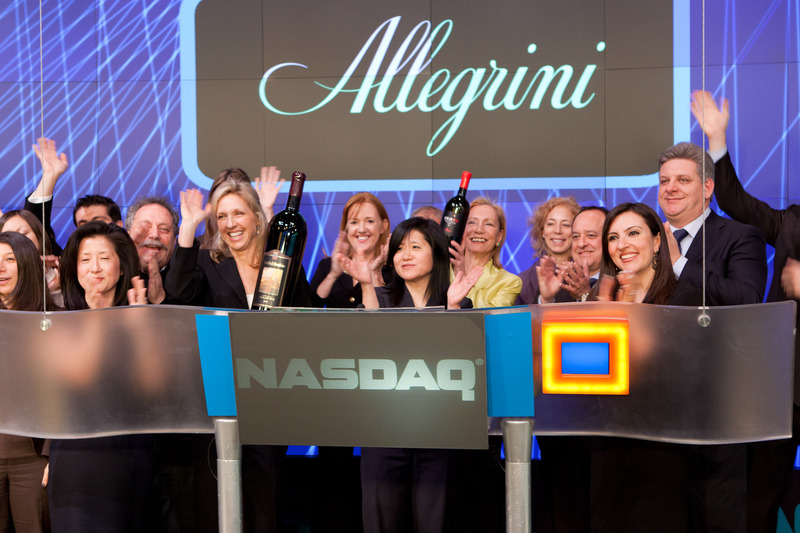 I’ve known her for a few years and had the opportunity to participate in a great event with Vinitaly during Vino 2011 at the Nasdaq in January. 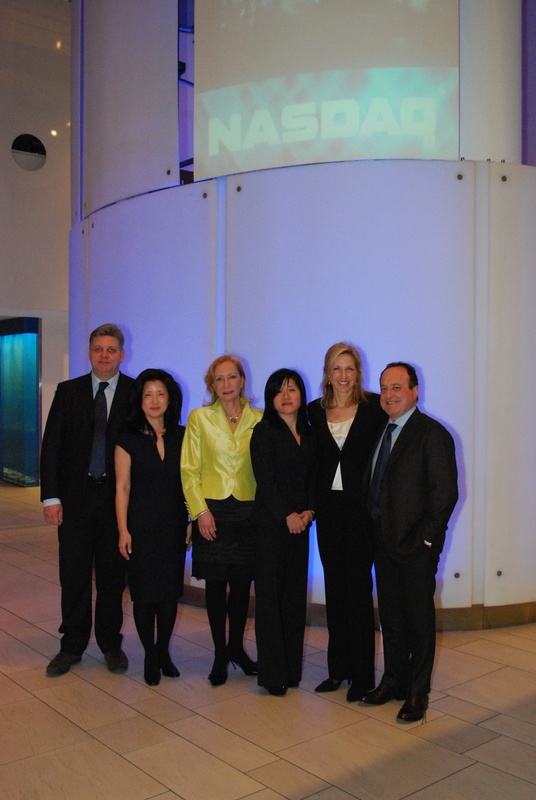 The idea for women in wine at the Nasdaq came from Stevie Kim, Senior Advisor to Giovanni Mantovani, CEO of Veronafiere which runs Vinitaly. Of course, I was thrilled as it was the primary motive for my starting my blog, writing about women in wine. I also interviewed Marilisa Allegrini at the charity portion of the event held at the American Cancer Society. Cristina and I spoke about what she sees for women in the wine industry. “I’m seeing many more women coming into the business, many in the sales force. This is new on the distributorship level. Women do a fantastic job of creating relationships which is very useful in our three tier system,” she said. She also noted that you see more women winemakers, owners and in marketing. In California, she said, the numbers were staggering while in Italy they are also growing. She added that many daughters are now taking over from their fathers and that the culture has become more welcoming and open to women. “Women have passion and are sensitive to the people they work with. There are so many beautiful wines out there but it is the story and the people behind the wines that actually gets the story out there. Women are helping to do that. They create team spirit, are empathetic and good at connecting with people,” she said. I asked her what her advice would be for young women who wanted to get into the wine industry. She said they should learn first and foremost what drives sales and should have direct contact with consumers. Cristina is a global Ambassador for her winery, traveling all over the world and promoting Banfi. The company is concentrating on overseas markets such as Hong Kong, India, Mexico and Brazil and has purchased a new property, Pacific Rim, in Washington State to focus on Riesling. She also told me that she believes the classic regions such as Tuscany and Piedmont will come back in full force despite the slow down in recent years as people bought more value brands. Marlisa Allegrini and I spoke about six weeks ago and she told me the story of her family’s 500 years in the wine business. She is the sixth generation in her family to work in the wine business. This year she will be celebrating her 30th year working for the business. Her first market for exporting was the United States where she said she learned that making good wine is not enough but that educating the consumer was key. Here’s a great video that we filmed after the Nasdaq event where you can hear what these two lovely women have to say. To women everywhere, salute! Essentially I think everyday should be a celebration of women but that’s just me.